Are you looking for a reliable & ethical company that specializes in drywall services in Brevard County? Experienced and capable of repairing any damages to the drywall of your business or home. The professionals at Dutton Drywall have been servicing all of Brevard County for 25+ years with professional drywall repair and installation services. 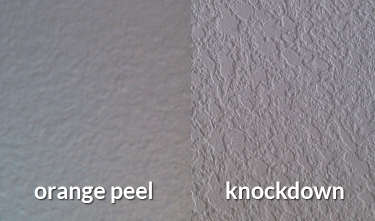 We are able to repair any scrapes and holes your drywall may have incurred through the years. Dutton Drywall provides a wide range of drywall installation and repair related services, from knock-down textures to popcorn removal. We are your one-stop solution for drywall repair, partitions, plaster, painting, and many other construction services. When it comes to drywall repairs or installing new ceilings in your home or business, you can count on the professional touch and expertise of Dutton Drywall. Let our qualified technicians remove your old outdated textures and popcorn ceiling with minimum impact to the drywall. No repairs are too big or too small, we can handle very large repairs in your home or business, whether it is drywall or plaster. Our drywallers can repair any hole or crack in your walls or ceilings in conjunction with any interior painting project. Transforming your house into a home. Dutton Drywall is the one-stop solution for all your drywall installation and repair needs. Customer service is our main priority, and our work is guaranteed. Dewey did an excellent job patching damaged ceiling drywall. Can NOT notice where patch work was done in master bedroom and living room. Price was very reasonable. Thanks for the great job. I was in a bind with my rental property. I called every drywall company around and Dutton Drywall was the only company that didn't hang up on me! They came out the same day and completed all the repairs. The finish result was flawless. I will definitely use them for future jobs with my rental properties. Thank you Dutton Drywall! Serving all of Brevard County. Over 25 years of experience and over 500 houses completed. Senior and military discount are available.